SICOA is a consultancy specializing in Custom Software development, Training, Business Process Management and Workflow Automation. Through developing custom software we help our clients streamline their business processes and automate their day-to-day work, optimizing their workflow and helping increase their productivity. 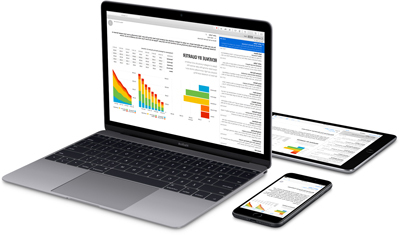 If you are looking for flexible, tailor made and cost effective ways to create, run and manage solutions for your business, then the FileMaker platform is ideally suited for your unique needs. It is a powerful software used to create custom apps that work seamlessly across iPad, iPhone, Windows, Mac, and the web. Use Appian to automate your business processes. If you are looking for innovative business process management software, Appian apps are ideal to help you gain competitive advantage over your competitors and facilitate decision-making. Appian is the fastest and easiest way to build, launch, use, and change powerful enterprise apps. At Sicoa we don’t just build a custom solution for your business; we get to know the way you operate and analyze your business processes in depth, in order to provide you with the right tools that will help streamline your business, accelerate growth and achieve the operational excellence that will grow your bottom line. Our team is fully equipped with the knowledge and tools to identify your business’ needs and propose the right solutions. We are agile in programming, discovery, planning and design. After talking to your team and analysing the issues and priorities of your business, we provide a variety of custom software solutions. We have managed a number of projects from various businesses that show our level of diversity and adaptation to different customer’s needs. At Sicoa we constantly set new standards of trust, customer satisfaction, service and innovation which keeps us on top of our game. Sicoa is an independent entity and this website has not been authorized, sponsored, or otherwise affiliated with FileMaker, Inc. FileMaker is a trademark of FileMaker, Inc., registered in the U.S. and other countries.